What is the Difference Between Mulch & Compost? Home > Knowledge Center > What is the Difference Between Mulch & Compost? 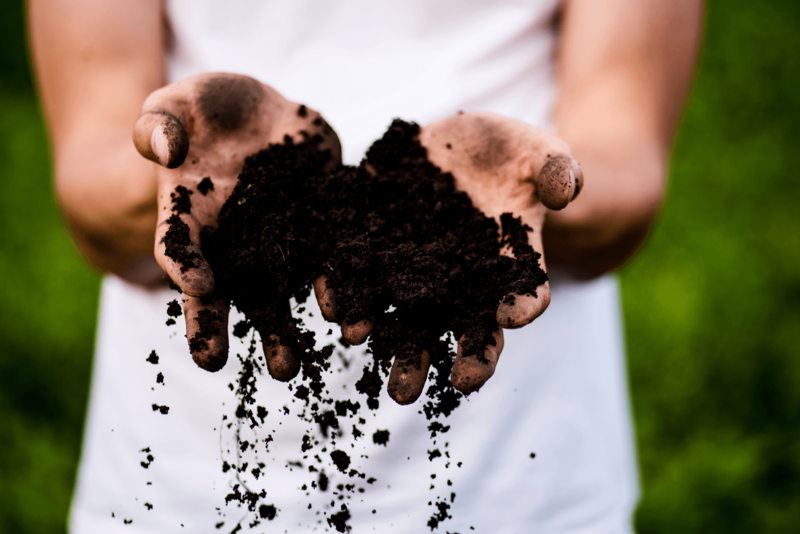 Compost and mulch are gardening terms that are so often used interchangeably that many people think they are simply two different words for the same thing. Even long-time gardeners frequently use the word compost when they really mean mulch or use the term mulch when they are actually talking about compost. To make things even more confusing, compost can be used as mulch, and mulch can have compost-like effects on your soil. So, it is easy to see how many folks might not realize that there really is a difference between compost and mulch. What is the difference between compost and mulch? Is compost or mulch better? Compost is an organic soil amendment that looks and feels like soil. You can purchase compost at your local gardening center, acquire it from a commercial composting facility, or make it at home in a backyard composting bin or pile. In some areas, residents can even get free compost for their home gardens through community programs. 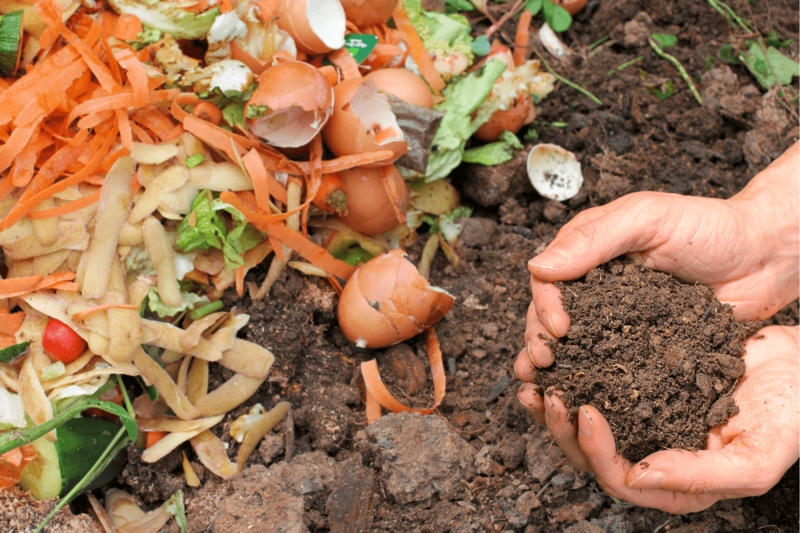 Compost is the result of microorganisms decomposing organic matter through the process of aerobic biodegradation, such as kitchen scraps, chicken or rabbit manure, leaves, organic yard waste and some paper products. For example, if you have a compost bin at home, you could add banana peels, used coffee grounds, coffee filters made from unbleached paper, twigs, leaves, the tube left after you use a roll of toilet paper, lawn clippings and the poop you scoop out of your hamster’s cage. In the controlled environment of your compost bin or pile, these items will decompose and become nutrient-rich compost you can use in your garden. Compost is mixed into the soil to improve soil structure and add nutrients. Because it is so rich and full of these nutrients, it must be mixed into soil in order for your plants to thrive and should not be used alone. As it continues to decompose in the soil, it adds nutrients over time and continues to improve your garden soil. In garden beds where plants are already in place, compost is sometimes used to side-dress plants by spreading it around the plant and either allowing it to naturally work into the soil or using handheld gardening tools to lightly mix it into the soil without injuring existing root systems. In some cases – particularly with coarser compost that looks a bit more like mulch – compost is used as mulch to top-dress garden beds. Compost is sometimes referred to as fertilizer. This makes sense, since it does add nutrients to the soil, and plants are usually healthier and exhibit faster growth or more production when grown in compost-enriched soil. However, it is a bit of misnomer, because compost is a soil amendment but it is not the same thing as fertilizer. Mulch can be used to refer to both inorganic and organic materials that are spread on top of soil as a top dressing. The material used could be leaves, lawn clippings, shredded wood, straw, recycled rubber, gravel, crushed seashells, crushed nut shells or similar products. While ground covers like gravel can be used as mulch and are sometimes called mulch, it is far more common to use the term mulch when you are talking about organic materials or materials that are intended to mimic organic materials, such as rubber mulch. When a gardener tells you to add mulch around your plants, they are rarely talking about gravel and will almost always be referring to organic materials. Gravel, rubber mulch and similar, inorganic products that technically fall under the term mulch provide some of the benefits seen with all mulches. These include limiting weed growth, moderating soil temperature, reducing the potential for erosion, and enhancing moisture retention in the underlying soil. 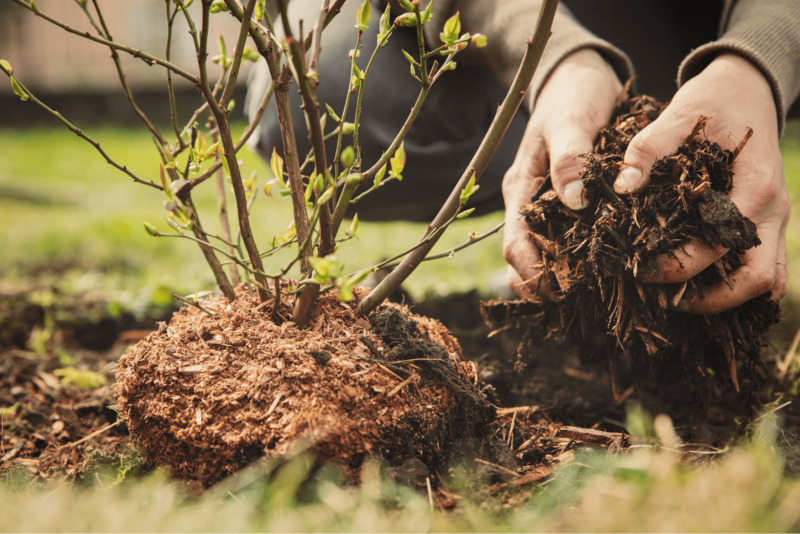 When using organic mulch, such as shredded leaves, shredded wood or lawn clippings, gardeners get the added benefits of improved soil structure and added nutrients as it decomposes. To learn more about different types of mulch and its uses, check out What is Mulch and How Do I Use It? Okay, now that we have a basic understanding of what compost is and what mulch is, let’s make the differences a bit clearer. Compost is mixed into the soil; whereas, mulch is spread on top of the soil. 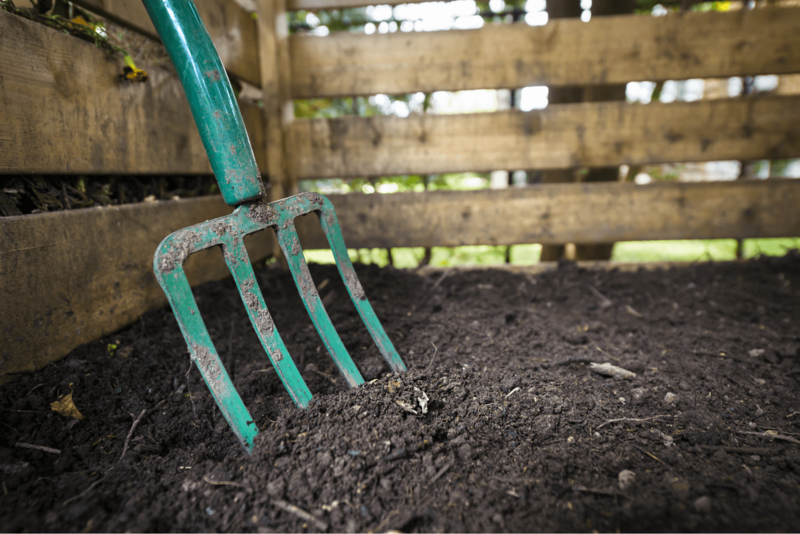 Compost is best at adding nutrients to the soil and improving soil structure. Mulch is best at limiting weed growth, preventing erosion and retaining soil moisture. So, basically, if you mow your natural grass lawn and spread the lawn clippings on top of the soil around your plants, your lawn clippings are mulch. If you take those lawn clippings and add them to your compost bin, wait for them to decompose, and then mix them into your garden soil, your lawn clippings are now compost. Now that you understand the difference between compost and mulch, the next logical question is: Which is better to use in my garden – compost or mulch? If your goal is to increase the production of food plants, get more blooms on your flowers or encourage your plants to grow faster, use compost. If your goal is to limit weed growth, control erosion and retain soil moisture, use mulch. 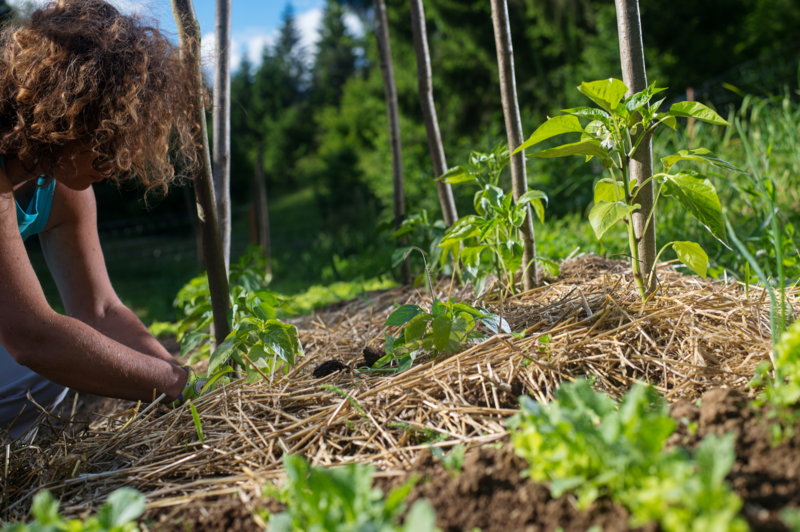 Most gardeners want all of these things to happen in their gardens, which is why it is common – and often best – to use both compost and mulch in your garden.